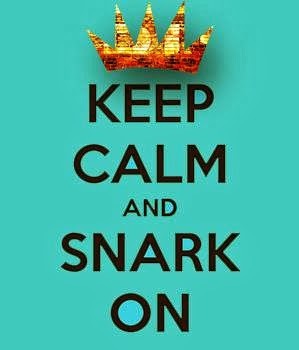 Keep Calm & Snark On : Happy Birthday Mr. Mike!! Quick post with a card I made for my cousin's 31st birthday. He will be 31 on January 31. Tried to make this look like a work sock...the inside says "Hope your birthday doesn't stink"
If I made another work sock, I would make the red strip at the top thinner and not add the red on the heel and toe (should have looked at a sock first), overall I am still happy with the look of it. 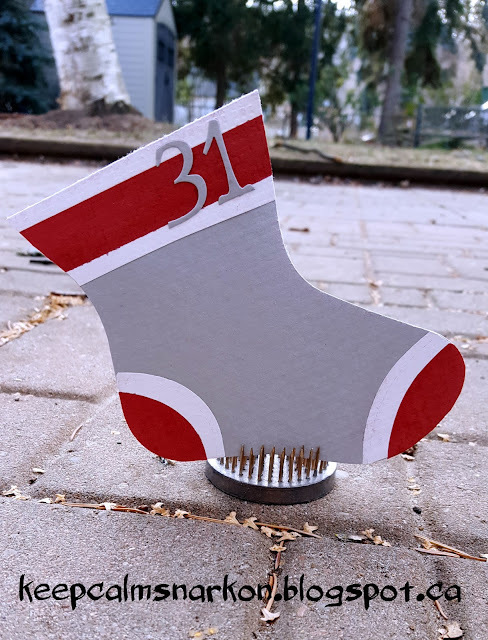 I wanted the sock to have some texture, so I repeatedly ran it through the cuttlebug with the lattice embossing folder. Then, because I wanted it to look like a worn sock, I sanded it repeatedly - yes I am a slightly OCD crafter!! I'd like to enter my sock into the SHAPE UP challenge at SHOPPING OUR STASH. OK, this is ALL sorts of awesome, Donna!!! OMG! I can't stand it!! 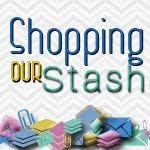 Thank you for joining in the fun at Shopping Our Stash!! 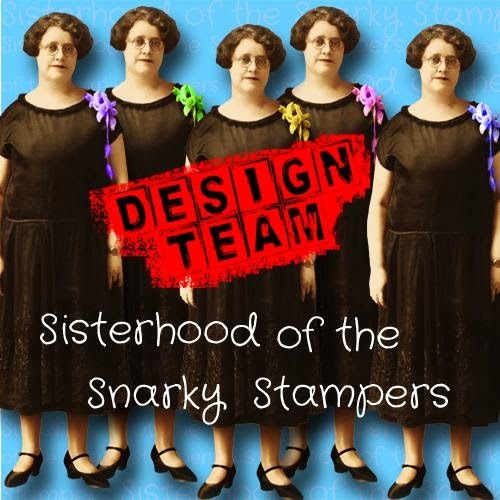 What a cool card, Donna! Gotta love the sentiment! Thanks for accepting the challenge this week at Shopping Our Stash! This is awesome Donna, it sure looks like the work socks I bought my son for Christmas. Thanks for playing along with us at Shopping Our Stash for the Shape up challenge. Hey you, great to see you over in this 'hood! Thanks for playing at SOS. Very cool and unique idea! I've never thought to run something through an EF multiple times! Now I *need* to! And I would have never in a million years thought to make a work sock, though my hubs lives in them! Cheers! Awesome, love the sock birthday card and the sentiment will definitely get the recipient laughing. Thank you for sharing at SHOPPING OUR STASH, hope you play again with us next time.